I went for a walk in nature today and it made all the difference in the world. Finding myself wallowing in some negativity, instead of languishing in it for any longer, I made the crucial decision to get outdoors and walk. 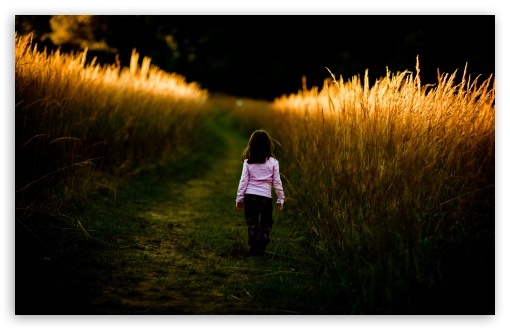 Simple recipe for relief of bad thoughts – as soon as my feet started moving, my senses were awakened and I found myself in the present moment, breathing in the rich scents of diverse flowers and plants, feeling the wind in my hair and listening to the river move up against the shoreline in rhythmic tones of sound. And before I knew it, my worries had been banished and seemed so trivial (which they were, of course), I was feeling more alive and happy. I attribute this directly to my 40 minutes of nature time. The remarkable healing powers of nature are, of course, not a new revelation, but given our species’ preference for living in crowded, concrete urban areas, more and more evidence is showing how even urban nature experiences can help heal. And in fact, this was the setting for my walk today – on a quiet path by a river, within sight of homes and people, a pocket of wilderness in an urban setting. Nature-rich cities rather than cities with some nature; not just liveable and sustainable but nature-rich and thriving, that’s the way of the future. Given the sheer vastness of the world’s oceans, one could be forgiven for thinking that dropping a mere plastic bag into its depths would have no discernible impact, but in actual fact, nothing could be further from the truth. That one little plastic bag could potentially swirl around in the sea water, float along innocently with the tides and currents, and end up in the Pacific Ocean and contribute to the building of a monster. For, in the broad expanse of the northern Pacific, there exists the North Pacific Subtropical Gyre, a slow-moving, clockwise vortex of currents created by a high-pressure system of air currents. And within this immense space resides the largest landfill on the planet: a floating world of millions of pounds of litter. 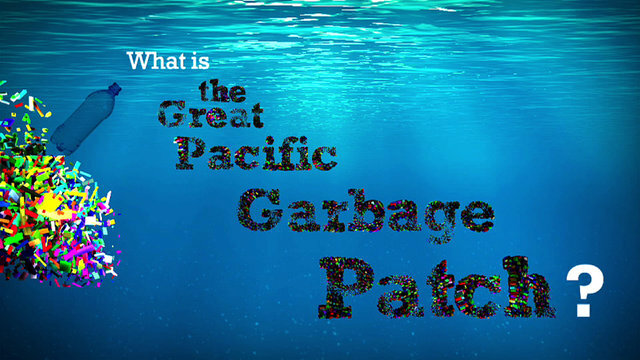 And it’s been coined the Great Pacific Garbage Patch. Covering an area the size of Texas, this floating landfill doubles in size every 10 years and kills countless birds and sea life that get tangled in the debris or mistake its contents for food. It’s a very vivid reminder to humans that this is a not a problem that is going to simply disappear. Plastic is the main culprit behind it all. The very thing that makes plastic items useful to consumers, their durability and stability, also makes them an enormous problem in marine environments. 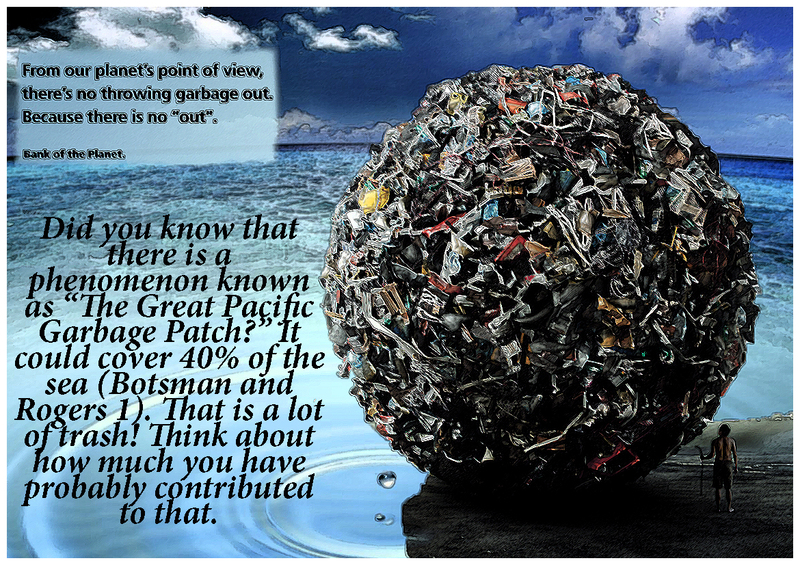 Plastic does not break down so it stays there in the gyre, permanently. Of the approximately 100 million tonnes of plastic that are produced each year, about 10 per cent of which ends up in the sea. And up until a couple of years ago, this was a little known phenomenon, conveniently hidden away in a remote corner of the ocean. As soon as Australian environmentalist and filmmaker Tim Silverwood learned that his big blue backyard was being confronted with unimaginable amounts of plastic, he was drawn to see it for himself. In July 2011 he did just that. Teaming up with a group of researchers on board a 70-foot ex-racing sail boat, he sailed for three weeks from Hawaii to Vancouver, a 5,000 kilometres journey, and assisted in a study on the Great Pacific Garage Patch and its effects on marine life. So what does one do upon returning from such a trip? Silverwood continues, even more passionately than before, on his campaign to educate people on the effects of plastic pollution, as he believes the only genuine way to make a difference is to completely stop plastic from entering the oceans in the first place. The campaign he co-founded is called Take 3– it’s a clean beach initiative and it takes the issue to a grassroots level, convincing people to pick up at least three pieces of rubbish off the beach each time they pass by. He is also petitioning the Australian government to set up a nation-wide beverage container deposit system, in light of the observed reduction of littering of beverage bottles in countries where such a system is in place. And as for plastic bags, he is fighting for a ban on them too. For more information, check out Bag It, the movie.